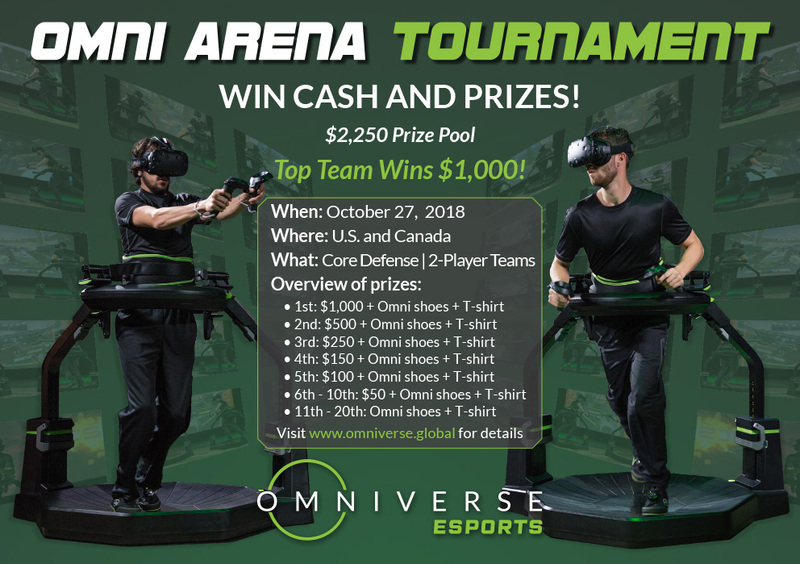 Monthly prize contests sponsored by Virtuix with cash and swag prizes ($15,000+ initial prize pool). Local and global leaderboards of various games (including Omni Arena, VRZ Torment, and Training Ops). Operators can create and display customized leaderboards. Player rank progression system with achievement points and awards for players to increase their global player rankings. Online player hub for players to socialize, connect with friends, and view personal leaderboards and player profiles. Future phases of Omniverse ESPORTS™ will include competitive “versus” game modes (1v1 or 2v2), bracket-style tournaments, and online competitive gaming. We aim to build a community of passionate Omni players who visit Omni venues frequently to play and practice. Participating in the prize contests is easy and doesn’t require much organizational effort. Player scores will automatically be added to the contest leaderboard if a player plays the contest game at a participating location on the contest day. The first prize contest will take place on Saturday, October 27. It will feature 2-player Omni Arena Core Defense (using a new version of Omni Arena optimized for leaderboard contests). This first contest will be for U.S. and Canada customers only. See the contest flyer and preliminary schedule below. 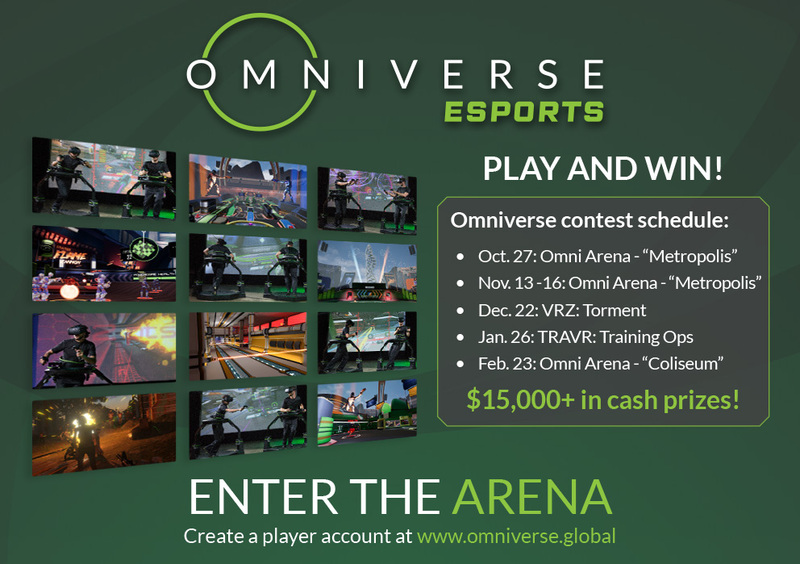 For more information about Omniverse ESPORTS™, visit our information page here. Over the past year we released several important upgrades to the Omni hardware that greatly improve player experience and operator ROI. These “Omni 2.0” upgrades include Omni Overshoes, strapless harness, and Omni base cleaning materials. This month we are adding two more: the Omni Controller Mount and EASY-WALK™. 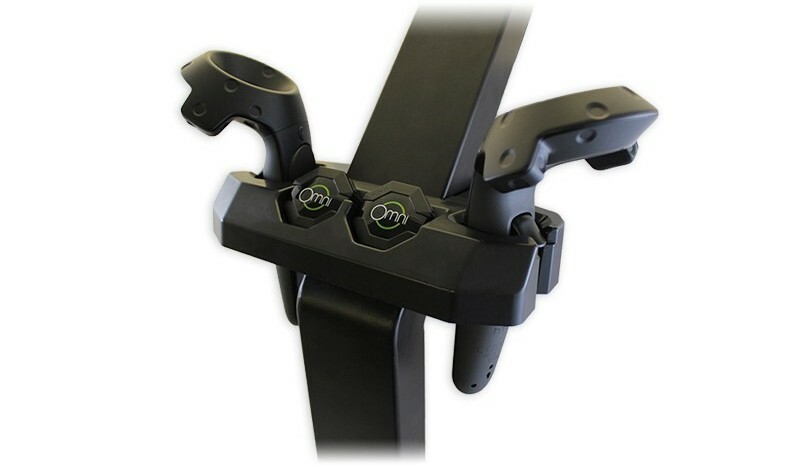 The Omni Controller Mount attaches to the Omni’s right arm and holds two HTC Vive hand controllers and a pair of Omni Tracking Pods. The Controller Mount allows for easy, one-click calibration of both the Omni and the HTC Vive head-mounted display (“room setup”) via our calibration application. For more information and to order, visit the product page here. Properly maintaining the Omni base is essential to providing a consistently great player experience. When the base is not cleaned regularly, friction rises, making walking difficult. Omni EASY-WALK™ is a lubricant that polishes the base and restores its low-friction surface for smooth walking movement. The package includes a polishing pad with a handle for quick and easy application. Omni EASY-WALK™ is free to our commercial and professional customers. For more information and to order, visit the product page here. 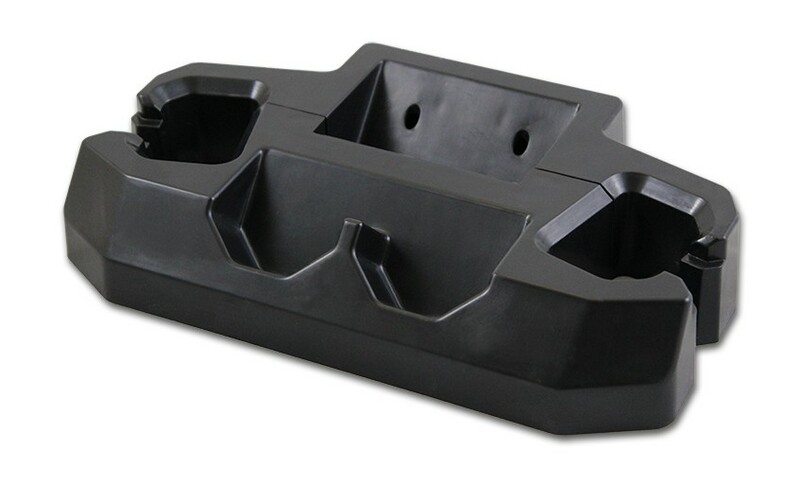 In future, both the Controller Mount and EASY-WALK™ are included in the Omni main unit box. We’ll be back next month with our usual recap of events from the Omni world.